Dragon Ball Super Movie announced. With the release of the new teaser, We dive into the teaser to see what has been revealed. Who is the new Saiyan? Who is Goku fighting? SSJ4? 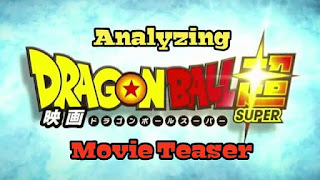 let's Analyze the Teaser of the new Dragon Ball Super Movie. The theme of the movie is, Saiyans have no Limits. We have seen throughout the series that Goku, Vegeta, Gohan etc all the Saiyans always surpass the limits. The movie will deal with the origins of Saiyan and what it means to be a Saiyan. It will also deal with the relation between the Saiyans and Frieza. 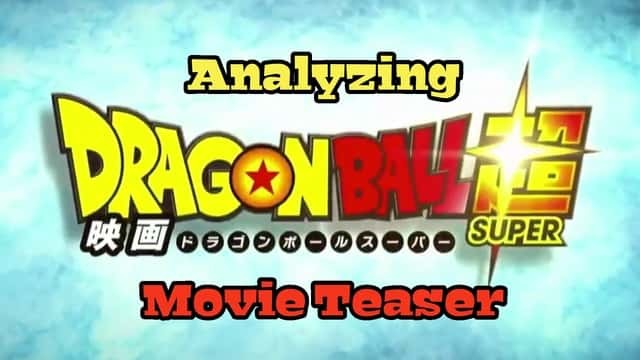 The art style of the teaser is much different than what Dragon Ball Super has been using for the past 3+ years. This art style is also very different from Battle of Gods and Ressurection F movies. But the fluidity of the art is very much appreciated. considering the rushed production early on gave Dragon Ball Super a bad name in the art department. Hence, The new art style could very much be something fans, old and new, would appreciate. If you had been aware of the latest interview of Akira Toriyama. Then you may be aware that he gave some major details about the Dragon Ball Super Movie. He introduced the concept of the S-cells and The original Super Saiyan God, Yamoshi. From the teaser, we see what is supposedly a Saiyan. This could very well be Yamoshi. A lot of fans are assuming the new character to be an SSJ4. But given the track record of Dragon Ball GT, the chances of it appearing in a major movie is very slim. Moreover, on close inspection of the teaser, we can see that the new character is wearing a loincloth. Because the new character also doesn't have fur, eye makeup and other characteristics of SSJ4. We can safely assume that SSJ4 is not making a return in the franchise anytime soon. The official release date for the movie is set to December 2018. Which is pretty great if you ask me. with a little less than a year to go. If we believe the rumors circulating, We could see the movie in theaters around the world. since Toei wants to release this movie in theaters Globally just like BoG and RoF were prior. Be sure to check out my other Articles or 4 reasons why Dragon Ball Super going on a Hiatus is good news. You can also subscribe to My Youtube Channel for Awesome Dragon Ball Videos.